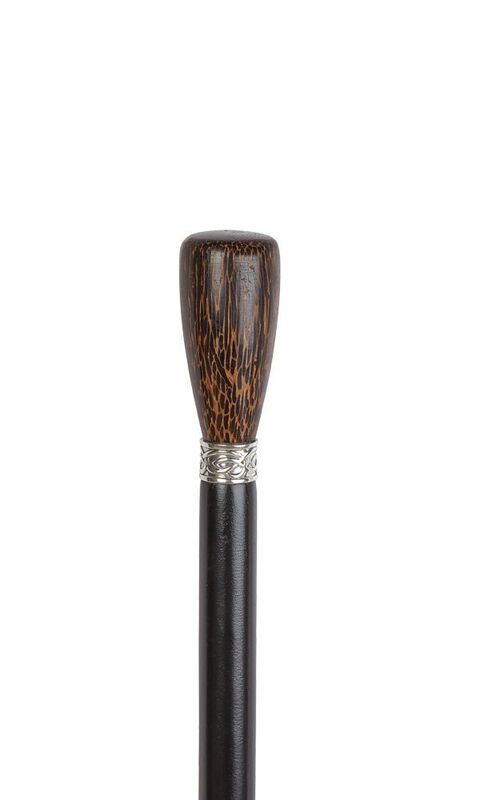 Turned black palm wood handle walking stick with celtic pewter collar This stick has a painted black beech wood shaft with a beautifully crafted black palm wood knob handle. Rubber ferrule included. Height 91cm or 36".